Are you looking for Bengali Science pdf book for Competitive Exams like ssc, wbssc,wbcs,bank,rail, police, primary, group d, clerk etc? Then here is the best place for you. You can download all competitive exams materials in our site. Science is the most important subject for any kind of competitive examination. So you need to practice daily. Today GK Solve share an important Bengali Science & Technology pdf book for you. This book really helps you, mainly Bengali medium students. Details of pdf book and download links are given below.So Readers are requested to download this pdf book as soon as possible and start practice. 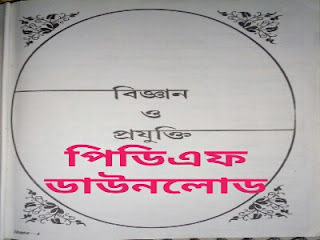 Name : Bengali Science & Technology ( 1st Part) PDF Book. Disclaimer: GK Solve is not an owner of this pdf book Content. GK Solve highly recommends buying the original book.